“ADX Accountants are about going the extra mile to give our clients more than just tax advice. We have a philosophy of helping our clients reach their business potential no matter what it takes. We offer so much more than just accounting services. When you work with us, you get a genuine partnership with trusted business advisors who will listen to your needs, understand your business and help you on a path to greater financial stability. We do of course provide small and medium businesses with the full spectrum of accounting services. Our accountants are experienced in a broad range of areas to support your business growth. If you need your tax prepared or your finances managed – we can help you, and we’ll do an excellent job. But our service is so much more than that. We're here to help you succeed in business, whatever that means for you. Get in touch by phone or email and let’s discuss what your current requirements are. We always recommend an obligation and fee free meeting to get to know each other. We’re going to be seeing a lot of each other! Let us do an analysis of your financial situation and provide you with a quote for our fees. We have a simple on-boarding process and we will help you fill out the paper work to get started. You don't need to prepare anything, just give us a call. Let us help your business’s financial stability and growth. We’ll not only deliver what you need, but stay up-to-date on your complete financial situation so we can always be there to support you. Whether establishing a new business or growing your current business, there are multiple options on how to structure it to your best advantage. At ADX Accountants, we will help you to understand the options you have, we work with you to explore how your choices will impact you in the future, and we set up your tax structures so you have full control. Choosing to manage your own super fund can be complex and time consuming. With ongoing obligations including acting in the role of trustee or director, planning and implementing an investment strategy that will help you achieve your retirement needs, and keeping detailed records for audits each year. Making the right choices will significantly improve your financial position, and ADX Accountants will work with you to help you get the most out of your SMSF. Running a business means keeping track of your spending, paying your tax and a variety of other intricate tasks. It is important to decide whether you will commit to taking on these tasks yourself, or put them in the hands of a trusted professional. 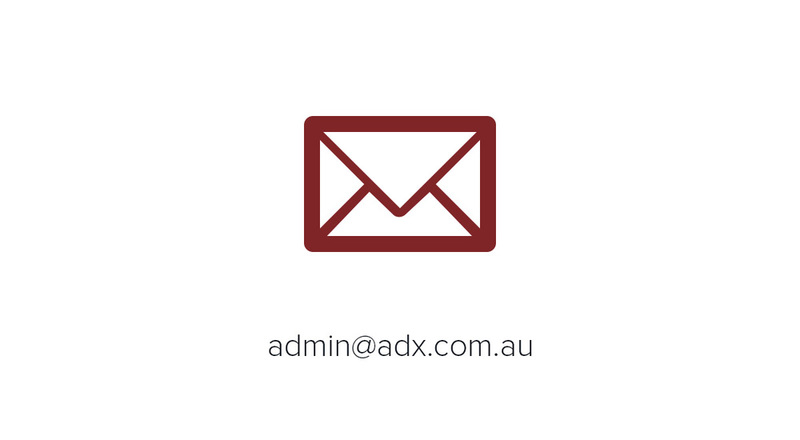 ADX Accountants treat your business like it was our own, ensuring all the little details are taken care of. Well structured and thought out business succession and estate planning is crucial. The key to success is setting out clear instructions, that reflect the party’s intention in how their business or property may be divided or used. Individuals often have no knowledge or experience of how to execute these plans. ADX Accountants has a wealth of knowledge in preparing your business or estate plan, and we will work with you to overcome any challenges and oversee its successful execution. WE KNOW HOW IMPORTANT IT IS FOR YOU TO LEARN ABOUT YOUR OWN FINANCES. WE MAKE THIS EASY WITH ARTICLES, WEBINARS AND DOWNLOADABLE RESOURCES.